We donate $1 of every fare to charity. Taxi in Pleasanton and beyond. "We Donate $1 of every fare to charity"
Charity Cab is The Only Taxi in Pleasanton That Gives Back! Giving back is a big part of what we do here at Charity Cab. We take $1 from every ride we give and donate it to a local Tri Valley or national charity. We believe this is a great way to pay it forward and give the community a sense of involvement in our efforts to help those in need. In doing this, we can really make a difference and by riding with us, you can too! 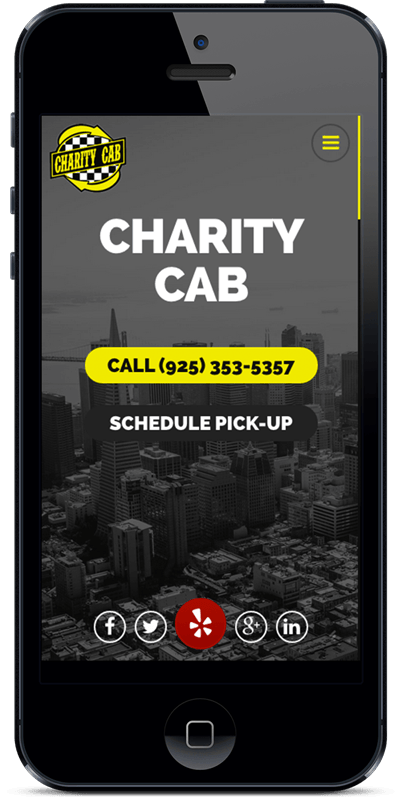 At Charity Cab, we have a wide array of vehicles in our taxi in Pleasanton fleet to accommodate all your transportation needs. We have hybrids to cut down on our carbon footprint. We also have a variety of sedans and midsize vehicles. For your larger groups and airport transportation needs, our minivans will get you there in comfort. Take a look below at our fleet and see what best suits you. Each vehicle is meticulously maintained to insure your safety and cleaned daily before each shift to keep them smelling fresh. Every time you step into a Charity Cab, you will feel safe and comfortable in route to your destination. At Charity Cab, the customer always comes first. We are all committed to providing each customer with exceptional taxi service, unmatched by any cab company in the area. Day in and day out we strive to give our passengers an enjoyable ride to their destination. We invite you to use Pleasanton’s Charity Cab for all your transportation needs and see why our customers are on a first name basis with our whole crew. All of us here at Charity Cab look forward to serving your taxi needs in the future! Your Taxi in Pleasanton and Beyond! Charity Cab services the entire Tri-Valley Area including ALL surrounding airports 24 hours a day, 7 days a week. 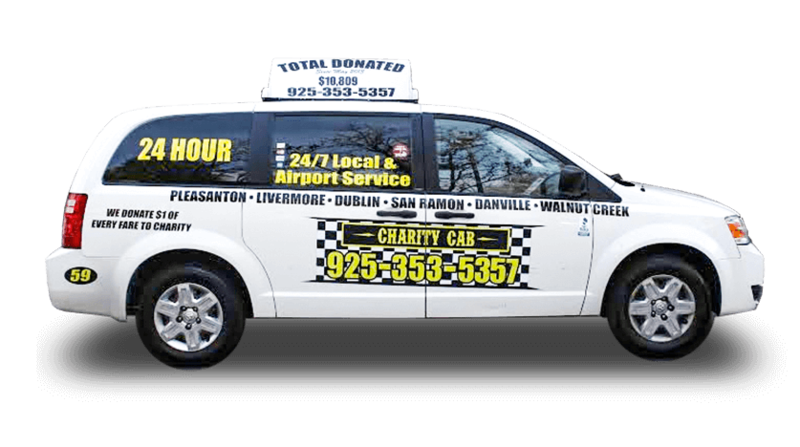 You can enjoy the taxi services of Charity Cab in Pleasanton, Dublin, Livermore, San Ramon, Danville, Alamo, Blackhawk and Sunol. Each taxi is equipped with state of the art GPS to insure you get to your destination in a timely manner. Call today to book your trip to any one of the surrounding airports including SFO, SJC and OAK and for any of your taxi in Pleasanton needs. GET A CAB. GET BACK TO LIFE. 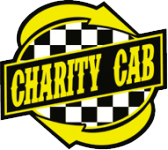 Charity Cab offers convenient travel accommodations whenever you need them. Site Maintenance by InConcert Web Solutions, Inc.
Business hours: We are open 24 hours a day, seven days a week. Payment Options: Cash, Visa, MasterCard, AmericanExpress. © 2018 Charity Cab. All rights reserved.